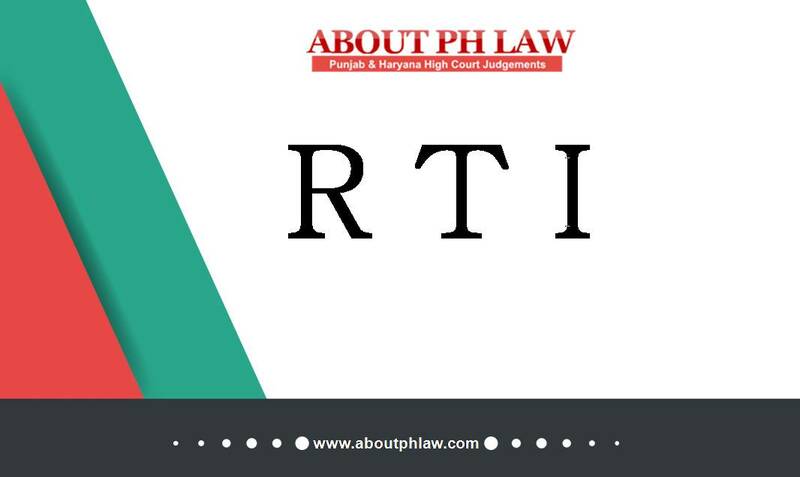 Right to Information Act, 2005, S.8–Personal Information — Information regarding qualifications held by selected candidates held to be rightly declined. Comments Off on Right to Information Act, 2005, S.8–Personal Information — Information regarding qualifications held by selected candidates held to be rightly declined. Right to Information Act, 2005, S.8–Exempted Information-Official noting would not fall within the ambit of the term ‘fiduciary relationship’ and have to be supplied to the affected persons—There is no blanket bar with regard to supplying information, which is available even in a fiduciary relationship. Comments Off on Right to Information Act, 2005, S.8–Exempted Information-Official noting would not fall within the ambit of the term ‘fiduciary relationship’ and have to be supplied to the affected persons—There is no blanket bar with regard to supplying information, which is available even in a fiduciary relationship. Right to Information—Provisions of the Act could not be used for supply of information, which was indiscriminate and impractical. Comments Off on Right to Information—Provisions of the Act could not be used for supply of information, which was indiscriminate and impractical. Right to Information—Exemption granted under the Income Tax Act, would not mean that the institution/hospital is a public authority. Comments Off on Right to Information—Exemption granted under the Income Tax Act, would not mean that the institution/hospital is a public authority.